BRYAN EATON/Staff photo. 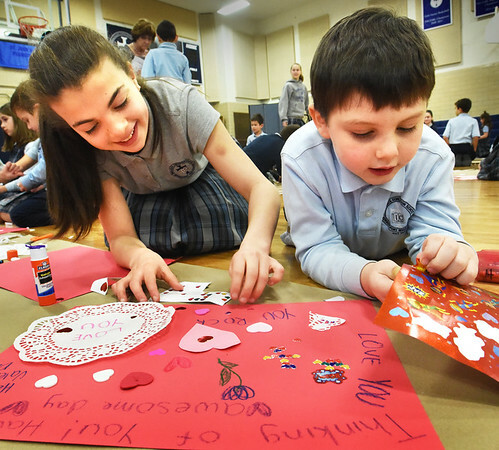 Older students at the Immaculate Conception School in Newburyport teamed up with younger ones to create Valentine placemats which will be laminated and given to residents of nursing homes and veterans groups, as a community service project for Catholic School Week. Eighth-grader Olivia D'Ambrosio, 13, picks out stickers with kindergartner Thomas Kelcourse, 6, on Tuesday morning.